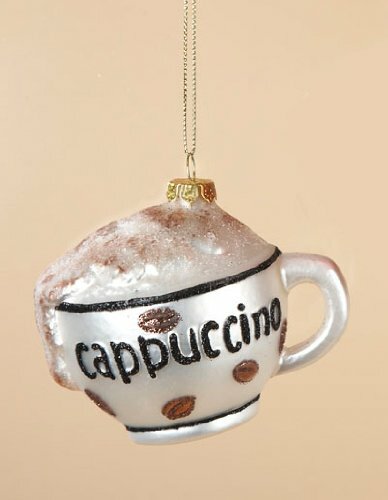 These are Cappuccino cup ornaments for hanging on the Christmas tree. Makes a great gift for anyone who LOVES coffee! Many coffee related Christmas ornaments are hard to find in stores, except for the Starbucks ones as you can usually find them in the Starbucks shop, or in a Hallmark store. These definitely look better than a plain cup of coffee ornament.